Ardley travel to Ascot United for Saturday’s UHLSport Hellenic League clash on the back of a 3-1 victory over Burnham. United established a two-goal cushion at the break in Saturday’s premier division clash but Burnham made a game of it in the second half and it took a late Jack Heap goal to secure all three points. Despite creating numerous chances it took the home side until the 27th minute to break the deadlock when a Sergio Guerrero’s cross was chested down by Nathaniel Lewars before he fired home. Ardley doubled their advantage seven minutes later when Bradley Cox’s header over the Burnham defence released Leam Howards who raced away from his marker to slot past keeper Pat Kinsella. 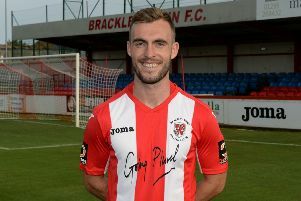 Burnham pulled a goal back in the 58th minute when skipper Jesse Wilson’s long range shot took a deflection to wrong-foot keeper Nick Bennion. Burnham battled bravely to get something from the game and Ardley were on the back foot for large periods of the second half. But deep into added-time Heap’s effort lobbed over Kinsella to secure the points.